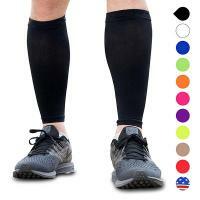 ★ BARELY THERE -Through a dedicated eye for detail, Run Forever Sports has created a premium Leg Compression Sleeve ideal for your every day needs. Made of durable, high quality materials and painstakingly measured to ensure an exact fit, we make absolutely sure you get what you paid for! They're so comfortable, you'll forget you have them on! ★ THE WARM UP - It's known that a warm muscle is less likely to be injured, and performs better overall. 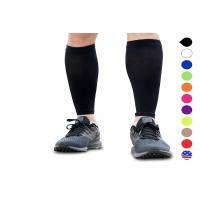 Though breathable, our compression sleeve is sturdy enough to help increase blood flow throughout your leg muscles, and offers enough resistance to give your legs extra support, while enhancing your athletic activities. 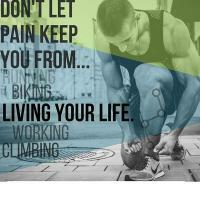 ★ PAIN AWAY - If you've ever dealt with Shin Splints, you know the discomfort and outright pain they can bring. Feel more confident to stay on your feet and avoid that unwanted pain as well as muscle cramps while you travel, work, or play! 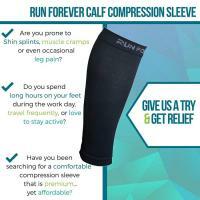 No matter if you're a runner, nurse, are pregnant, or just experience occasional leg pain, our sleeve is just what you need! 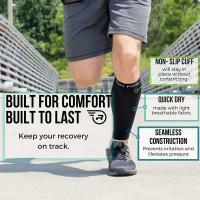 ★ PROFESSIONAL GRADE COMPRESSION - When it comes to compression gear, not all are created equal. 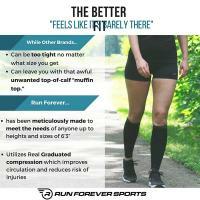 Some don't fit right, and some don't work right, but with Run Forever Sports, you'll be sure to get a quality fit with a true graduated compression strength of 20-25mmHg, which will help improve performance while alleviating leg pain and swelling. 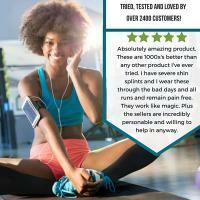 ★ GUARANTEED - We want you to know that we've got your back! For the lifetime of your purchase, enjoy the comfort and peace of mind that comes with knowing that if you don't like our product, or they just aren't for you, there are no hard feelings! Just send them back our way for a full no questions asked REFUND! 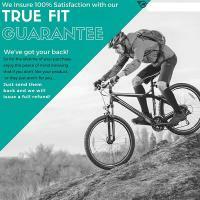 Even if you just need a replacement sleeve, we're there for you then, too! A: We are manufacture factory with 20 years experience..
A: Generally it is 5-10 days if the goods are in stock. or it is 30-35 days if the goods are not in stock, it is according to quantity and other situations. A: Yes, we can send 1-2 pieces samples , you need to pay the sample fee, we will return to you when you make the order . A: Our payment is flexible, usually,payment is 30% T/T in advance , and balance before shipment. 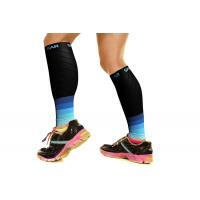 Shenzhen Kezhijia Athletic Goods Co.,ltd, a professional industrial , was established in 2009. In last few years, we have been devoted most our efforts to manufacture basket knee brace , table tennis rackets and sports protective. We have more than 90 advanced sewing machine and its corollary machine and 50 knitting machine, and we also have more than 100 well-tranied staff, no less than 10 technicians, dedicated to strict quality control and thoughful customer service , our exprienced staff are always available to disscuss your requirements and ensure full customer satisfaction. We located in Shenzhen, China, with convinient transportation access for Yantian Ports, enables us to save a plenty of time and transportation cost for you. Working with ACS can make your products high quality, unique and competitive. Normally our Products follow the international quality standards and are greatly appreciated in a variety of markets all over the world. We are welcome to follow your OEM/OED Requirement to meet the Particular demand of your market.Our core mission has, and always will be integrating our high quality resource to offer our customers best valued products.